Freebie Christmas Math and Literacy Morning Work - Grab a sample of my Holiday Math and Literacy Pack. This sample contains a few of the holiday themed morning work pages. 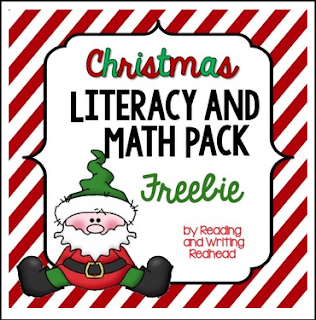 Great for 2nd grade to differentiate in 1st grade or 3rd grade. Each morning work page has a variety of math and literacy skills such as cause and effect, spelling, addition, word problems, subtraction, fact and opinion, synonyms and more! Also included are answer keys.